Please note: This door is for collection from our Fleet showroom. Alternatively, there are delivery options in the related products which must be added to the shopping bag with your door if you wish for it to be delivered. There are two separate delivery options in the related products – 1 door delivered for £35 or 2+ doors delivered for £75. The Deanta Norwich Internal Oak Door Unfinished features a modern design. 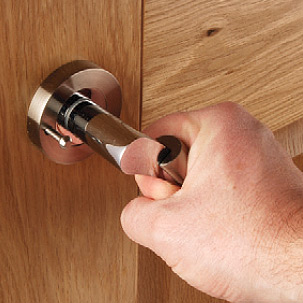 The door measures 1981 x 838 x 35mm and when fitting, we would recommend using 3 hinges per door. Some of these can be found in the related products. The oak doors are unfinished with real American white oak veneer and have 11mm solid oak lipping on the top and bottom as well as 18mm on both sides. Timber is a natural product and as such is subject to humidity and temperature changes – as it's natural, the appearance of each individual door may differ slightly. These doors must not be fitted in a house that has been freshly plastered and they must be stored horizontally on a clean flat surface. Should the door require alteration (like planing) it must be immediately varnished to avoid moisture absorption. To allow the doors to acclimatise to the house it must be stored inside for around 7 days with the heating gradually being increased. Deanta offers exceptional quality and value for money while continually revolutionising interior doors. The company manufacture all of their own products, structuring every product range to the specific needs of customers.